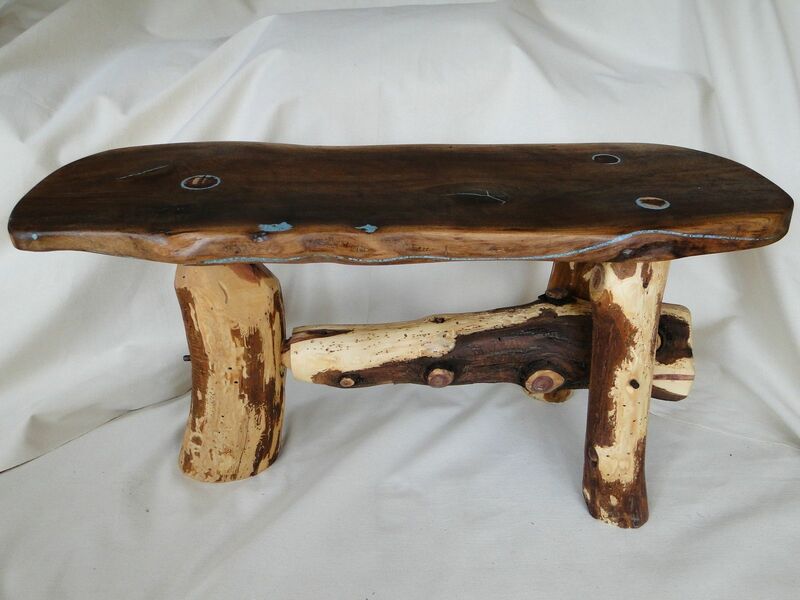 I can make another similar- made from very old black walnut found in storage, with chunky natural cedar round legs that have been mortised into the slab top. 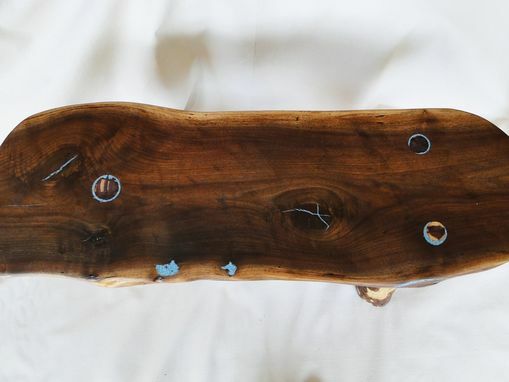 The bench is constructed with mortised joints and black walnut dowels -- no screws! 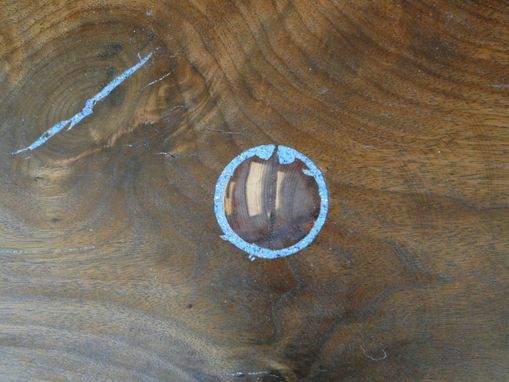 The black walnut slab has been restored with a turquoise and resin glue to repair imperfections and to give it a very unique Southwestern style. Finished with natural linseed oil. 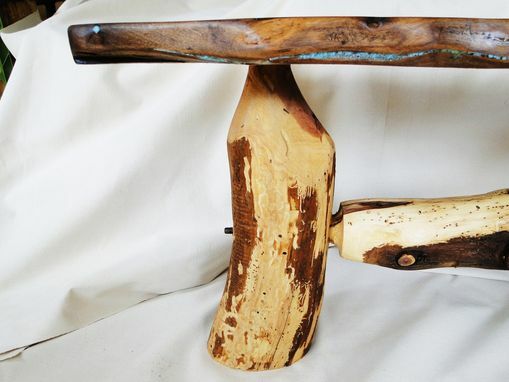 Very stable tripod leg design that shows off the natural beauty of locally-harvested cedar. 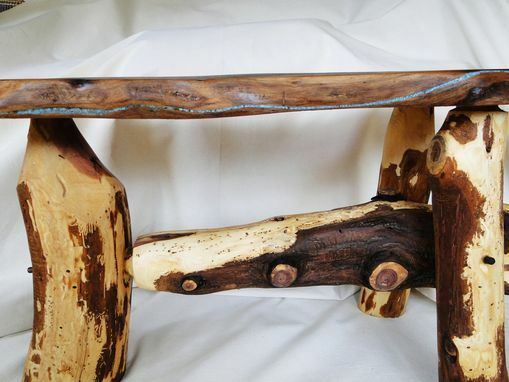 39.5" L x 12.5" W x 19" H.
Everyone who has seen this bench in person has loved it.